Anyone who has owned a Jeep knows the feeling of insecurity the first time you want to leave something of value in the vehicle. First, fear that your valuables will be gone upon your return. Second, anger that you have to worry about people stealing from you in the first place. Finally, the inevitable change of routine-figuring how you can go about your life without having anything of value that you can’t always carry on your person. After all, driving the Jeep is fun enough to make a few sacrifices seem acceptable-right? I thought there had to be a better way and after some research, I discovered Tuffy Security Products. Tuffy provides serious theft protection for your valuables in Jeeps and other vehicles, both recreational and professional. Tuffy produces their products in their Cortez, C0lorado manufacturing facility. 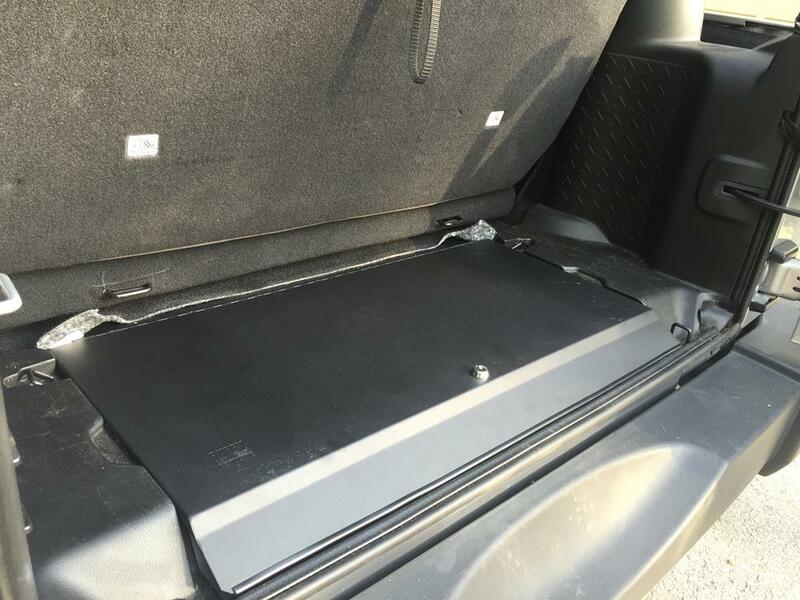 The company makes security storage for under the seat, in the glove box, in seat consoles, in truck beds, in trunk spaces, and several other applications. Tuffy offered to sponsor our Jeep build since it will be highlighting cargo and storage solutions. The Tuffy products work hand in hand with what we are doing at Rightline Gear for Jeep Storage. We opted for the Tuffy Security Console Insert, SKU #276. 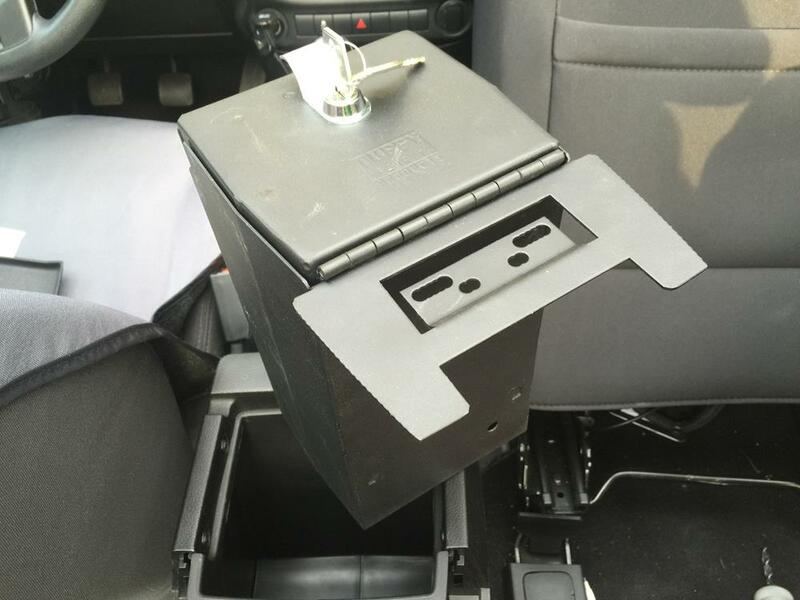 This locking steel enclosure perfectly fits into the Wrangler’s factory center console. To begin installation, you must first take out a few of the factory pieces to make room for the Security Console. Then, for added security, we followed the instructions and drilled a couple holes through the Center Console to bolt in the Insert. 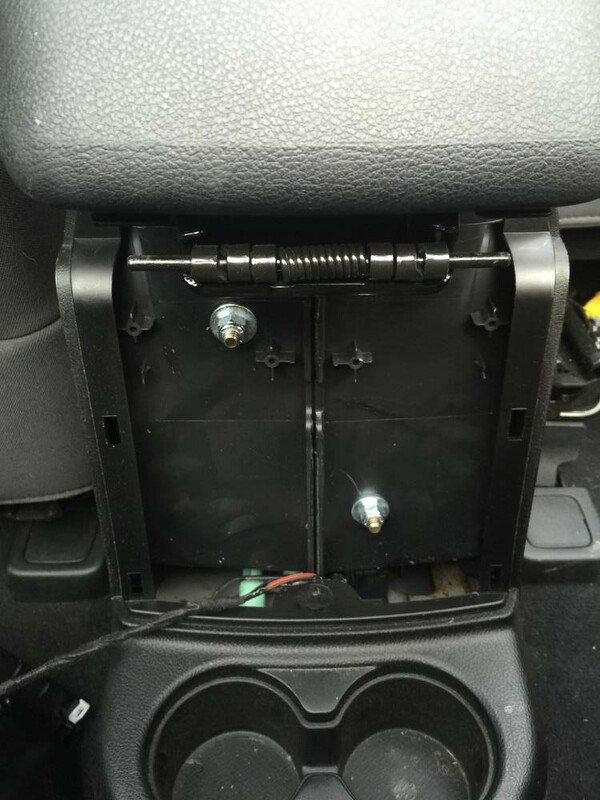 The Insert has a cutout to fit around the power outlet inside the console. 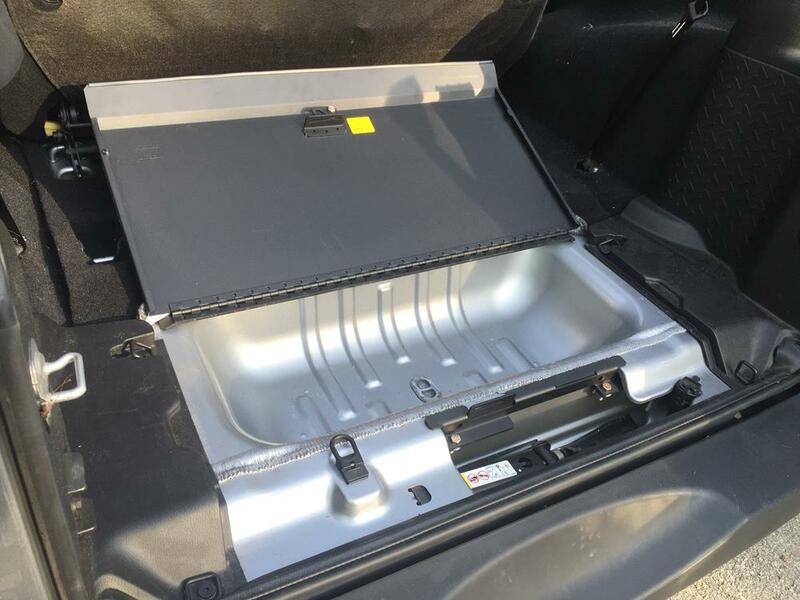 It also features a tray to hold smaller items separate from the main compartment. The Console Insert locks with a code matched key and is designed with features to prevent it from being pried open. 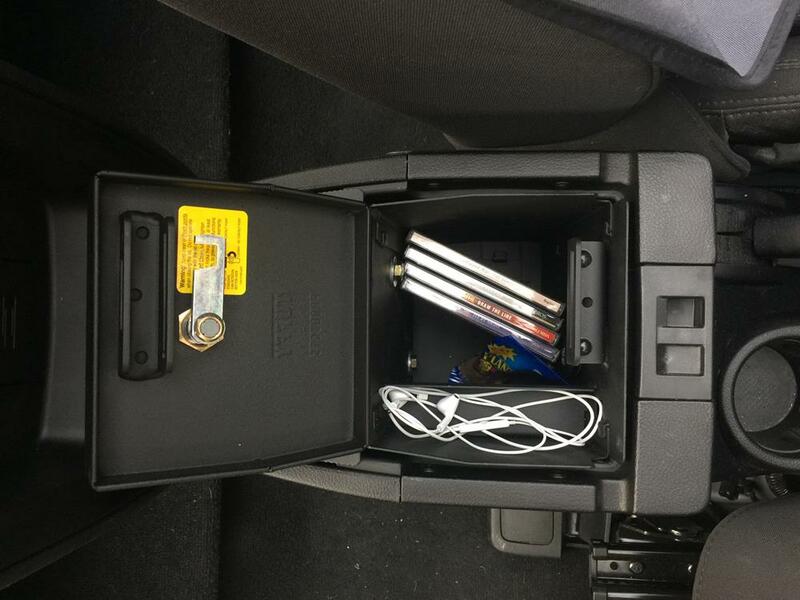 In the end, you can lock the Security Console Insert and lock your factory console over it. 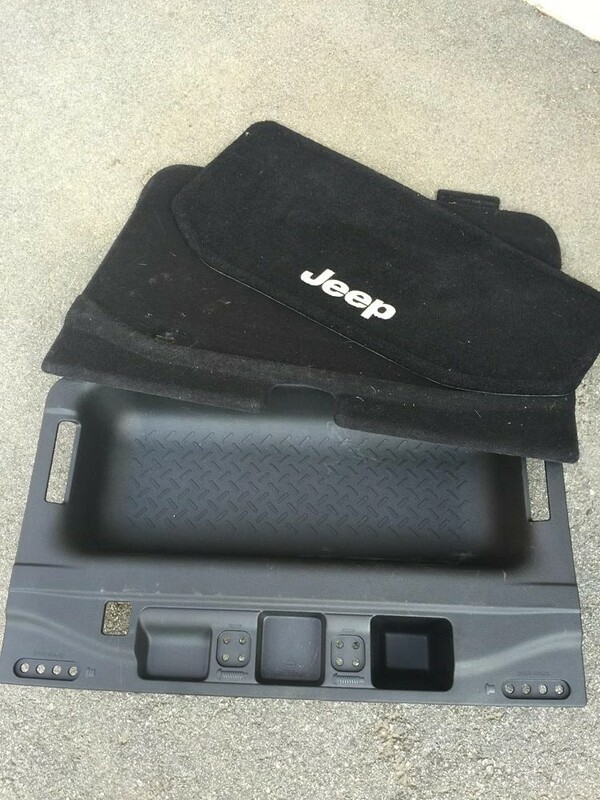 This product allows you to leave wallets, cell phones, CDs and other small items in the Jeep with complete peace of mind. We also added the JK Locking Cubby Cover, SKU #143. The Cubby Cover replaces the factory cover over the rear storage area. 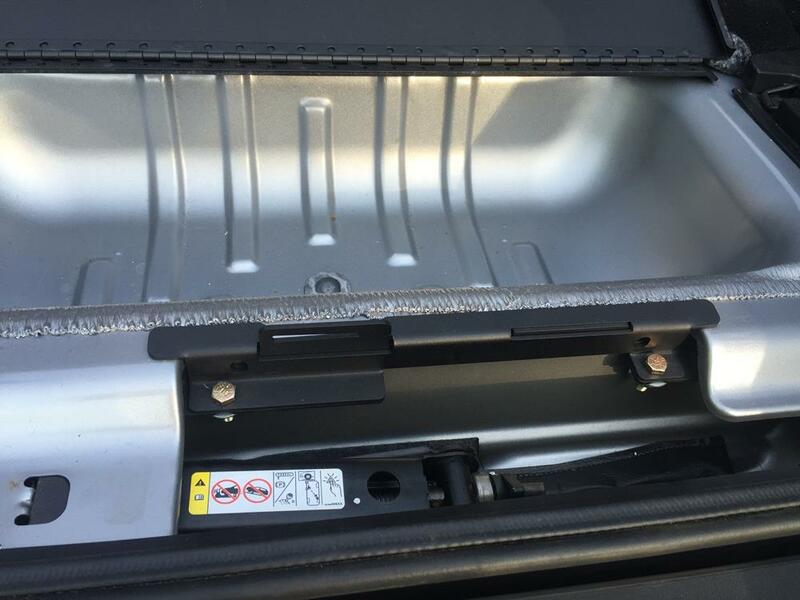 First, you must remove the factory lid and take out the plastic tray that lines the storage compartment. The new metal cover bolts in place and covers the now larger storage area. As you can see, there is a plug in the bottom of the storage area that can be removed to allow water to drain out. The storage area is not waterproof. 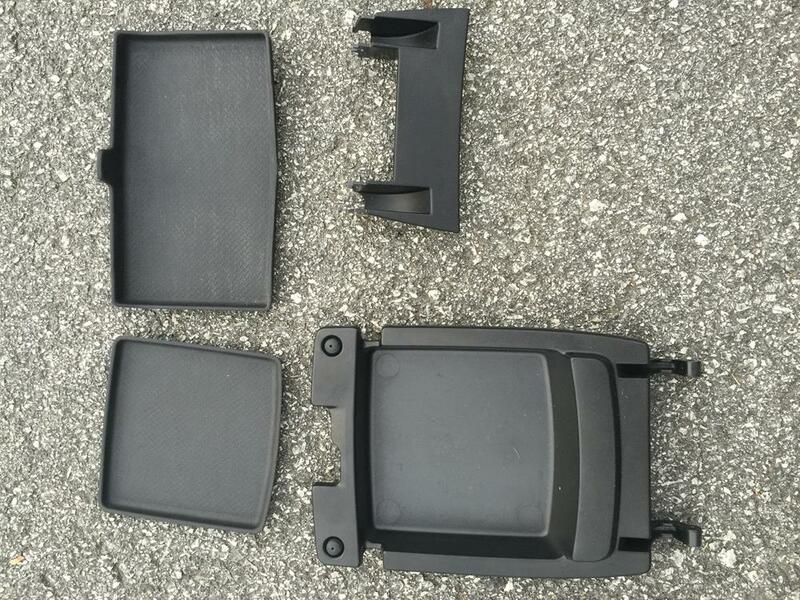 The cover’s locking mechanism includes a bracket that is installed just above the jack compartment. The Cubby Cover locks with a code-matched key and covers the storage area and the jack compartment completely. As a final step, it might look better to trim the carpet located at the back corners of the Cubby Cover. We will be removing the carpet from the Wrangler, so we decided not to cut the carpet at this time. The storage area is large enough to hold a backpack with a laptop or any of your small to mid-size valuables. 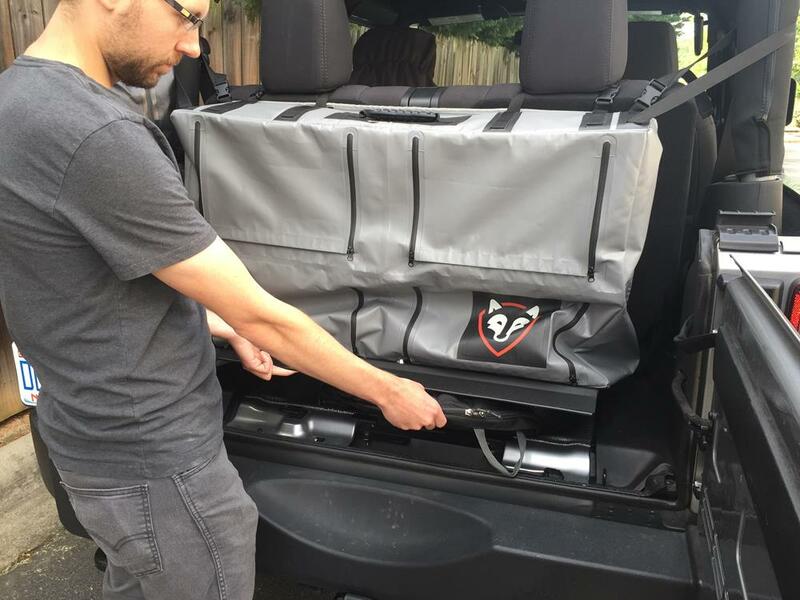 The Cubby Cover works great with our Rightline Gear Trunk Storage Bag in both 2 door and 4 door Wranglers. These Tuffy Security Products provided just the solution I needed. Trail running, mountain biking, or road biking after work can now be done with a lap top, wallet, or other valuables in tow. We are looking forward to the security these products will provide on our long trek to the SEMA show. It is nice to know that we will have nothing to worry about!